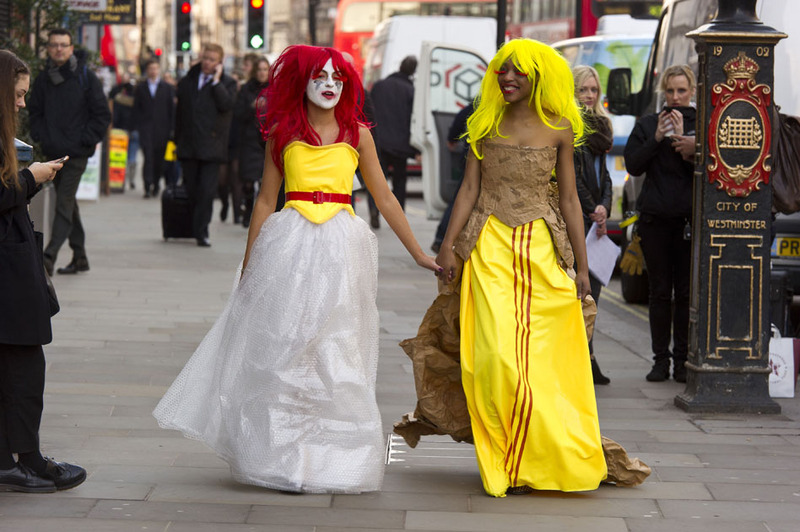 Two global union federations will aim to make workers’ rights fashionable at the opening of London Fashion Week tomorrow when they challenge event sponsor and logistics giant Deutsche Post DHL over its ongoing abuse of employees’ rights. 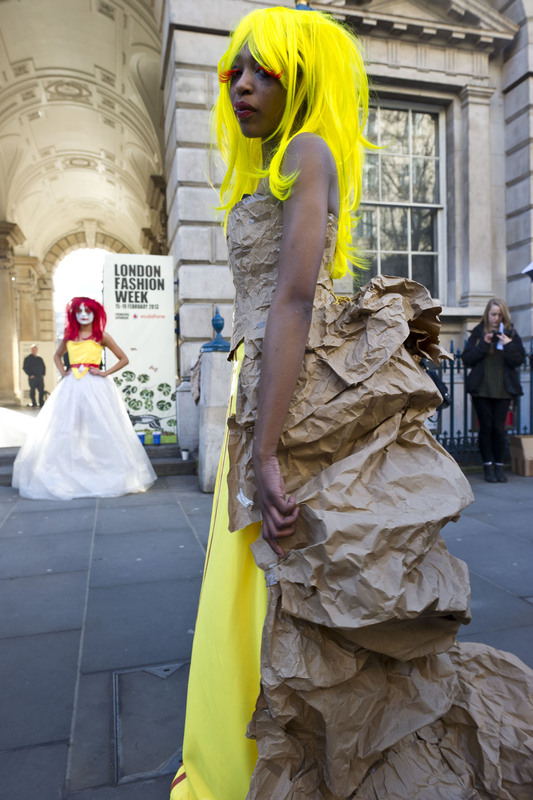 Two models dressed in high fashion clothes crafted out of packaging materials, and made up to match, will parade outside the main (Strand) entrance of Somerset House, London WC2R 1LA, the central venue for this year’s London Fashion Week. DHL is a major sponsor of the show and its official logistics provider. The models, plus officials from the ITF(International Transport Workers’ Federation) and UNI Global Union will be there throughout the day from 09:15 onwards. Press attending the official LFW press conference at 09:30 are invited to stop, talk to them, and find out more. The ITF and UNI are fighting for DHL workers’ rights worldwide, and have in recent years presented evidence of repeated abuses in multiple countries where DHL operates. 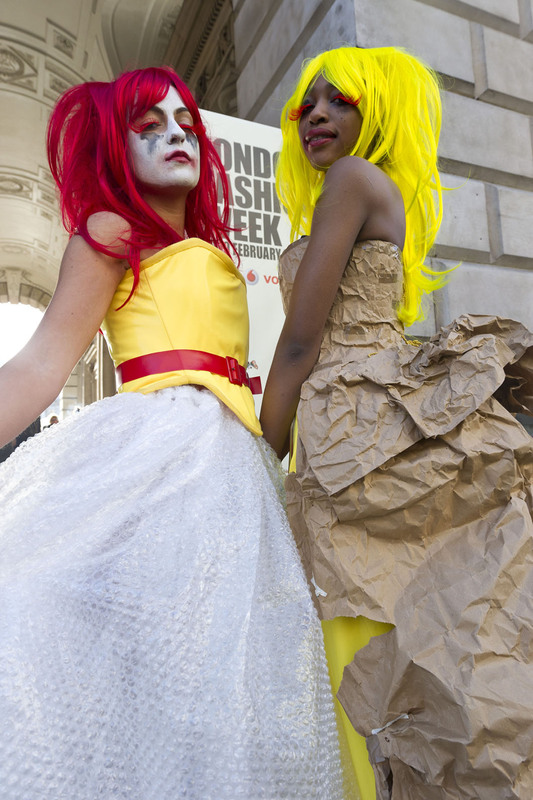 They have alreadybeen in touch with many exhibitors at LFW ahead of the event and report a positive response from those who are committed to the ethical sourcing and production of clothes, and who intend to contact DHL to quiz it on its behaviour. We know you care about where your clothes come from and that they’re ethically sourced and produced. But what about the companies that deal with the delivery of fashion? Do they care? 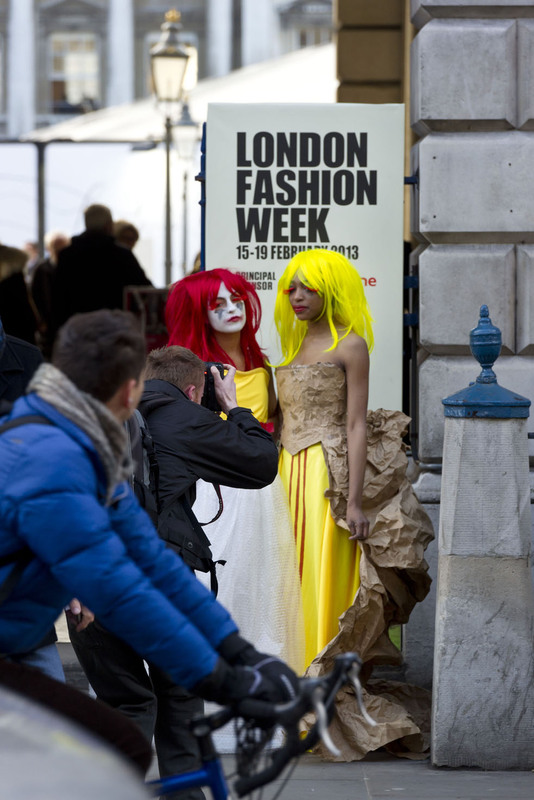 Deutsche Post DHL is a major sponsor of London Fashion Week and its official logistics provider. DHL employees are a crucial part of the fashion supply chain. But … did you know that DHL has illegally fired workers in Turkey and used lie detectors against staff in Colombia, Panama and South Africa? Did you know that it has relied on agency workers to work on lower wages and with no job security in the UK, Malaysia, Indonesia and India? One DHL company was even fined after staffing a US factory with students who thought they were on a cultural exchange.